Welcome to the Ketogenic Asia homepage! Whether you are taking on this popular lifestyle to enhance physical performance or to better your health, be sure to find useful information on the ketogenic diet and top-quality keto products to help support your journey. Keep calm, stay keto, and have fun shopping! These handy keto snacks are perfect for ketonians with a busy lifestyle or those in need of a quick boost pre or post workout. 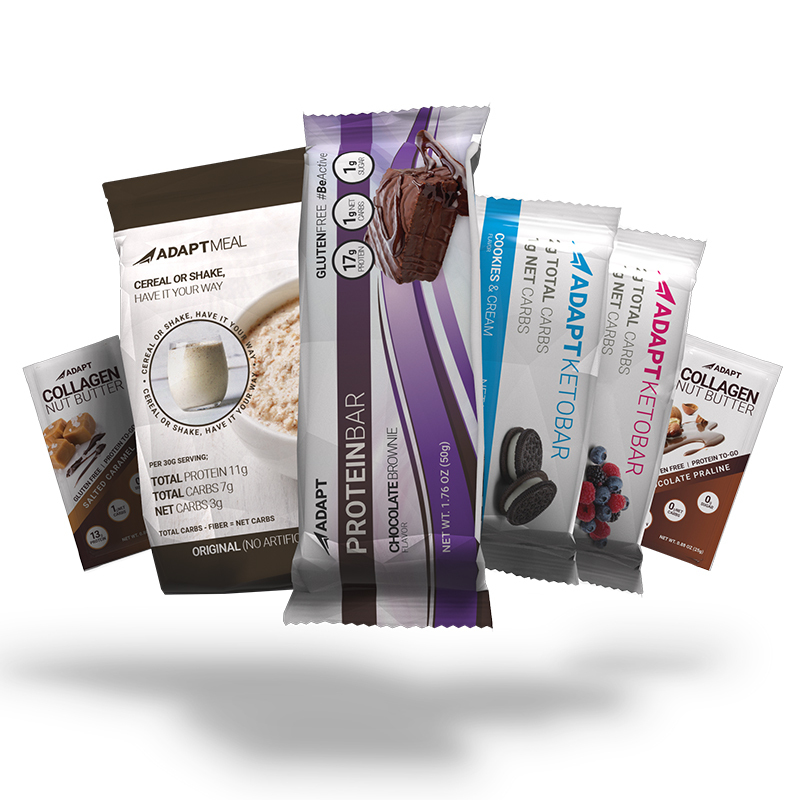 Keto bars, Protein bars, Collagen bars, Smoothie/Cereal - all ultra low in sugar, suitable for anyone trying to cut back their carbohydrate intake. A range of products to suit different tastes and desires, these versatile treats can be delivered to your door or picked up from our premises. A variety of nutritional support complementary to the Ketogenic diet. Whether to fat-boost your coffee, tea or protein shake; or simply to avoid the infamous keto flu, we have the extras to make your keto life more convenient and more enjoyable. To make it easy for people new to the world of Keto, we have put together the perfect starter pack that provides essential items you need to get you moving on your new journey. For those already reaping the benefits of being ketogenic, we have designed monthly packages for your convenience.